We accidently bought too many bananas this week so we have a whole bunch of ripe bananas! My husband usually makes banana bread that is so good but I wanted to try something different. This recipe is not altered but it could easily be altered to be healthier – using applesauce, honey or cutting the sugar in half. 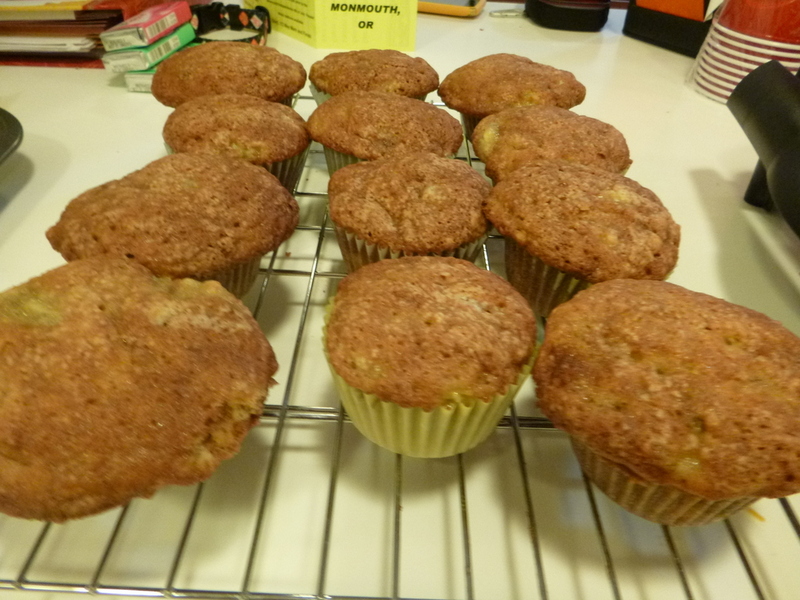 These muffins are like cake so if you want a different texture you could use some whole wheat flour instead of all purpose flour. In a large bowl, beat butter and sugar until creamy. Add eggs and beat until light and fluffy. Mash bananas in a separate bowl (I used a potato masher). Stir in bananas; mix well. Add flour and baking soda, mixing just enough to moisten.